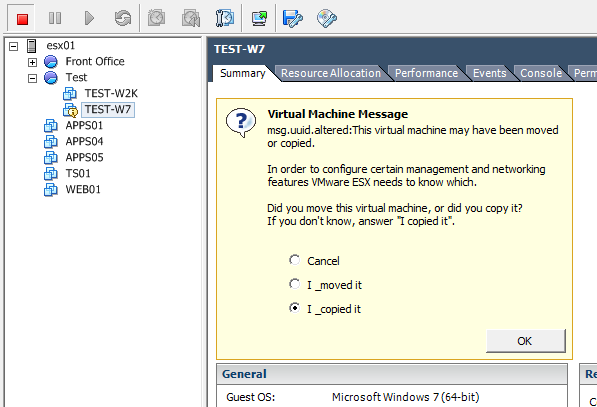 After replacing or upgrading some storage on your VMware ESXi server it could be useful or mandatory to move some VM to a new datastore. (Optional) Consolidate snapshots if needed. 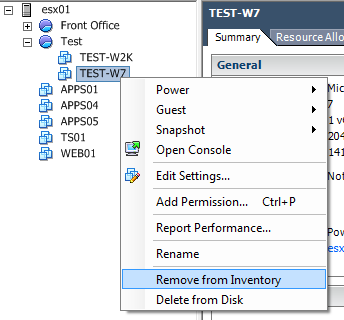 Right click VM and click “Remove from Inventory"
vmkfstools -i "/vmfs/volumes/source_datastore/Some VM/Some VM.vmdk" -d thin "/vmfs/volumes/destination_datastore/Some VM/Some VM.vmdk"
In the vSphere client go to: Configuration->Storage->Data Browser, right click the destination datastore which you moved your VM to and click "Browse datastore”. Browse to your VM and right click the .vmx file, then click “Add to inventory"
If the VM boots up fine, you can remove the VM from the old datastore.